In “Play and Creativity in Psychotherapy,” Terry Marks-Tarlow, Marion Solomon, and Daniel J. Siegel demonstrate that play can have a significant role in the healing process. Taking the time to relearn how to play as an adult can help build resilience, creativity, and spontaneity for both clients and therapists. As children, it is natural to explore and use play as a way of learning. But as adults, we are supposed to be more serious. We are often overly concerned with how we appear to others, and too often move through life with the logical parts of our brains. Fortunately, it is possible to retrain ourselves to explore the world with play, and to use it in counseling sessions. Each of the contributors to this book emphasizes the importance of play throughout life, and how it can help foster empathy. They also share experiences from their clinical practices. The backgrounds of the writers are varied, including contributions not only from psychotherapy but also neurobiology, psychiatry, and interpersonal neuropsychology. They succeed at discussing the practice of play in clinical settings without diminishing the seriousness that categorizes many types of therapy. When there is significant trauma being worked through, for instance, it may not be the right time to be playful, but play can fit into therapy for many clients. For play to happen, there needs to first be a healthy attachment. A safe environment opens the door to using imagination in play and feeling free to create and discover. Play can also be used when addressing specific concerns such as ADHD self-awareness, and depression and throughout different points in treatment. “Play and Creativity in Psychotherapy” is an academic book written for professionals and not necessarily for the layperson. Someone looking for a self-help guide with ideas for incorporating play into his or her everyday life would not find this book to be an easy-to-use manual. Clinicians, however, will appreciate that it is research-based while also including practical applications for use with clients. 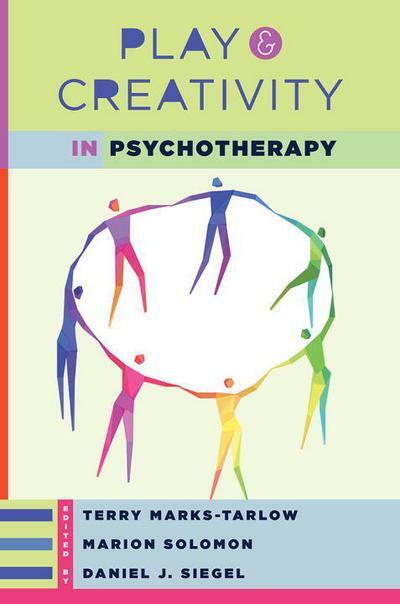 “Play and Creativity in Psychotherapy” is a good resource for clinicians who may be skeptical about the concept of play in psychotherapy yet may be burned out on traditional ways of doing therapy day after day. It provides a framework to approach the work from a different mindset, and perhaps breathe new life into clinical sessions. With clients that do not seem to make progress, this book offers new techniques for shifting gears to make more headway. Those outside the mental health profession may also be interested in learning how play can be used across the lifespan and across cultures. At the very least, the book should open the eyes of all readers to the value of play across the lifespan.